Have you already been on the train to Soller? 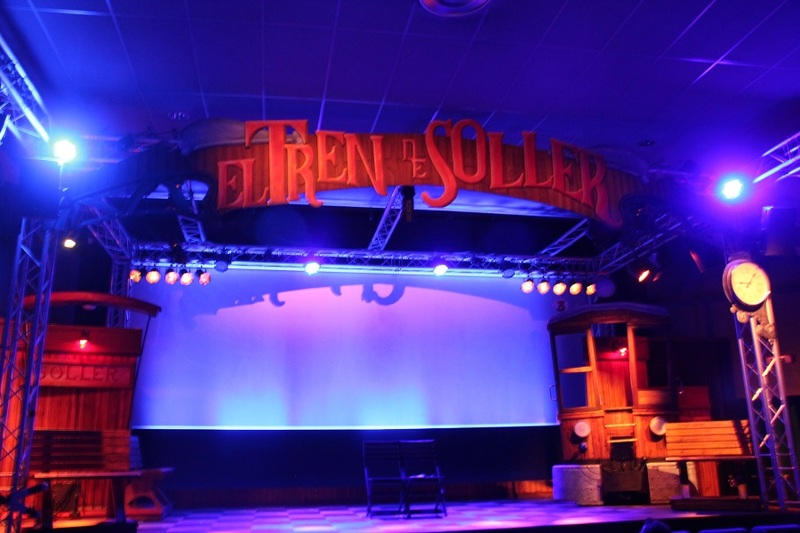 Departure since the premiere of the musical “El Tren de Sóller”, which took place on 08 August, is from the small as well as historical cinema in Sala Augusta in Palma. At this charming venue, the musical picks up its guests and takes them on a journey through the Majorcan countryside, where the traveler will encounter people of diverse cultures. During the train ride, the musical guests are accompanied by the charming and sympathetic at first glance Susanne from Berlin. Susanne travels for the first time by train to Sóller. She is excited, looks a bit lost and does not know what to expect on the trip. Love has led her to make the journey into the unknown to Sóller. The turbulent ride through the Mallorcan countryside brings Susanne and the other traveller’s lives and the people in Majorca closer together. Strange encounters of different cultures and language practices make the trip varied. Susanne soon makes connections with the other passengers. Susanne beautifully describes her feelings and thoughts to the passengers in rousing melodies. Susanne’s beloved Miguel, his character a musician, responds with an equally soulful voice. Miguel tells the travellers that he can no longer stand the wait and the confinement of everyday life in the tranquil village of Sóller. He decides to travel to Berlin to find Susan and bring an end to his longing. Not knowing that Susanne has already embarked upon her journey to him. Characters and performers are shown somewhat exaggerated, providing the musical with lots of humour and entertainment for the whole family. All models are from different backgrounds and from Mallorca themselves. The performance in the movie theatre creates a closeness to the audience, which lets you experience the musical from an interesting perspective. The performances are offered in German, English and Spanish​​.